Most organizations I encounter possess a huge gap. That is the gap between concept and execution. Everyone loves to create the big idea, the grand plan and they want to get moving on it ASAP. 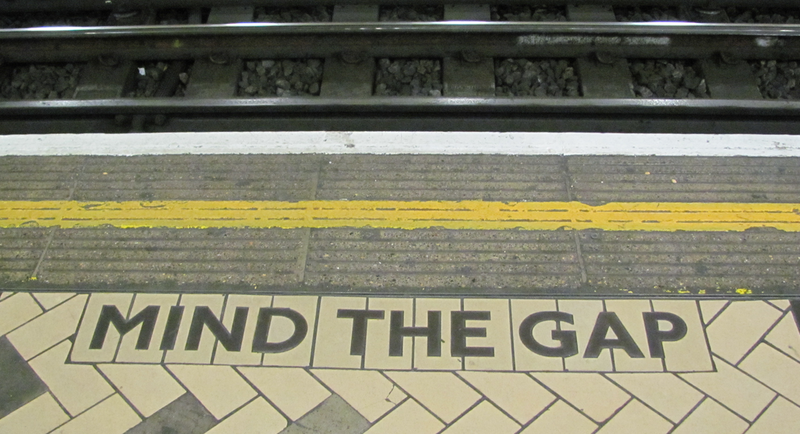 Failure to “mind the gap” inevitably leads to failure of the initiative. The problem is that we rush through this part and/or don’t involve enough stakeholders. Frequently a preconceived solution is already in mind, which precludes any opportunity to be sure you are solving the correct problem. Filling this gap effectively is essential to the success of any initiative. After years of working in the area of major organizational initiatives, I can say that the place I provide the most value is in Minding the Gap. There are two parts to doing this well. First is creating a solid charter. The second is creating a thorough stakeholder map. Each task is seemingly simple on the surface. In fact each activity requires unique skills to do them well. The underlying theme in both activities is creating a transparent and dynamic conversation. Only through this process of proposal and feedback can all the issues be surfaced and dealt with before the tactical work begins. This is what I do, and it just so happens this is the position I am currently looking for. As of today ( January 30, 2014) I am available for full-time or contract work to help organizations “Mind the Gap”.